In addition to boosting fitness and easing stress, yoga may also help you embrace a healthier lifestyle. "There are four distinct but interconnected areas in which yoga has specific benefits, not just for heart disease but any disease," says yoga researcher and neuroscientist Dr. Sat Bir Singh Khalsa, assistant professor of medicine at Harvard Medical School. Following are summaries of the four areas. The relaxing, meditative aspect of yoga can build up your emotional resilience, helping you to stay calmer during times of stress. Stress — an unavoidable part of our daily lives — activates the body's fight-or-flight response. This triggers a rise in heart rate, blood pressure, and the release of stress hormones, all of which are hard on your cardiovascular system. Yoga helps activate the opposite effect, known as the rest-and-digest response. Over time, a regular yoga practice cultivates this "relaxation response," enabling you to be less reactive to stress and intense emotions, Dr. Khalsa maintains. A single 90-minute session of yoga can lower levels of the stress hormone cortisol, according to one study. In a 2012 survey from the National Center for Complementary and Integrative Health, more than 80% of yoga enthusiasts said the practice decreased their stress. Nearly two-thirds reported that yoga motivated them to exercise more regularly. And four in 10 said they were inspired to eat healthier. These changes may reflect the heightened mind-body awareness that yoga practitioners experience. "You're more aware of the positive feelings you enjoy when you eat healthy foods and exercise. You're also more likely to notice the negative effects of eating junk food and sitting on a couch all day," says Dr. Khalsa. Making healthy lifestyle changes is perhaps the most important thing you can do to prevent heart disease, he points out. After years of doing yoga, some people find that the practice transforms their lives to an even greater degree. "They have a different perspective on the meaning and purpose of their life, and their goals become less materialistic and more spiritual and charitable," says Dr. Khalsa. While the relevance to heart disease may be tenuous, some research has found that people with a higher sense of purpose in life are less likely to have a heart attack, stroke, or related cardiovascular problem compared with people who have a lower sense of purpose. Moreover, there's good evidence dating back to 1990 that a lifestyle that includes yoga as one of its four key components (along with a low-fat vegetarian diet, moderate exercise, and the maintenance of loving, supportive relationships) can actually shrink blockages in arteries, without the use of medication. In fact, the Ornish Lifestyle Medicine program (www.ornish.com) is so well accepted that Medicare has been reimbursing participants since 2010. If you're new to yoga, seek out a beginner or "gentle" class, especially if you're over 65 or have any medical conditions. To reap the greatest reward, find a class that features all four pillars of yoga: postures, breathing practices, deep relaxation, and meditation. 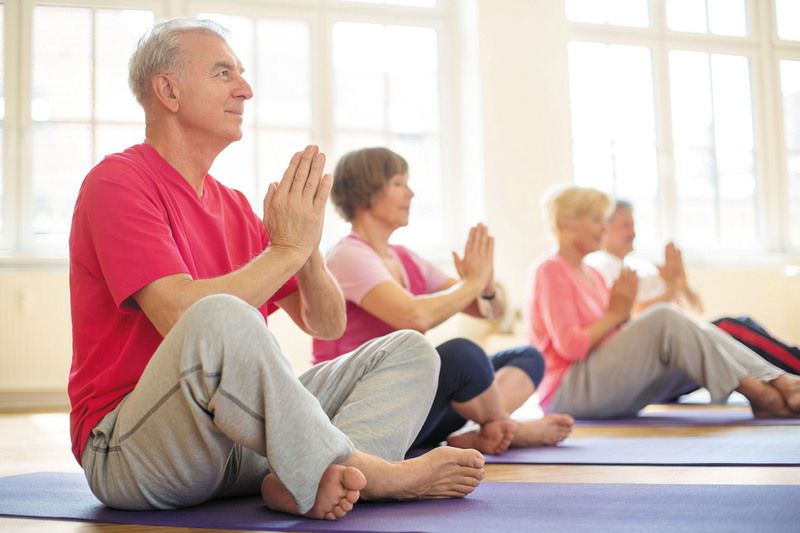 In addition to dedicated yoga studios, many health clubs and community or senior centers now offer classes. You might need some persistence to find a teacher and style of yoga that resonates for you. It's like buying a car, says Dr. Khalsa. "You wouldn't walk onto a car lot and buy the first car the dealer recommends. You shop around." For more information on starting a yoga practice and its other health benefits, see the Harvard Special Health Report An Introduction to Yoga (www.health.harvard.edu/yoga).